This post is the second installment of a 3-part blog highlighting technology in education. Read on and stop back to learn more. Communication, collaboration, critical thinking and problem solving, and creativity and innovation are considered the 4 Cs in education today. They are the expectations for learners for life beyond the classroom. “Using the 4 Cs to engage students is imperative. As educators prepare students for this new global society, teaching the core content subjects must be enhanced by incorporating critical thinking, collaboration, communication, and creativity” (NEA, 2015, p. 3). Implementing the 4 Cs into the teaching and learning process is critical. It is required. According to President Obama, “I’m calling on our nation’s governors and state education chiefs to develop standards and assessments that don’t simply measure whether students can fill in a bubble on a test, but whether they possess 21st century skills like problem-solving and critical thinking and entrepreneurship and creativity” (NEA, 2015, p.5). National and international leaders are counting on learners, or rather, citizens to be engaged and possess the skills to aid in society’s success. Considering the advancement of technology and the call for improved life skills, what changes are needed to meet the needs of the learners and the society? Education must support, sustain, and improve technology and likewise, technology must support, sustain, and improve education. With the tech savvy generation growing up, the dilemma is “as students are more likely to express themselves through texts and tweets, schools must find a way to keep up with this new tech-savvy generation” (Kirton, 2015, p.11). Educators must acknowledge and respond to the changes in technology in our schools. According to John Stocks in a National Education Association publication, we need new tools to support educators in the classroom as they implement new strategies to enhance the 4 Cs – communication, collaboration, critical thinking, and creativity (NEA, 2015). What are these new tools supporting the teaching and learning process of the 4 Cs? Web 2.0 tools are considered a possible solution. “Web 2.0 is about revolutionary new ways of creating, collaborating, editing and sharing user-generated content online. It’s also about ease of use. There’s no need to download, and teachers and students can master many of these tools in minutes. Technology has never been easier or more accessible to all” (Discovery Education, 2015, para 1). Although some may question if Web 2.0 tools are replacing teachers and teaching, they are enhancing student learning and engagement. According to Todd Conaway, an instructional designer at Yavapai College, “None of these tools can replace the passion you have for your content or for teaching, but they can help you demonstrate that passion and carry it forward to your online students” (Bart, 2009, para 4). To improve student learning, educators need to demonstrate and live out their passion in their teaching. “Your passion will also help you become absolutely relentless in the pursuit of excellence” (Burgess, 2012, p.10). 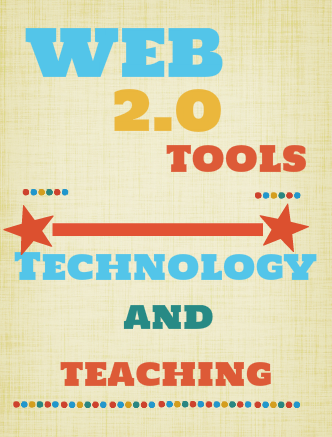 Web 2.0 tools can truly enhance teaching and learning. “When technology works well in the classroom, it does so because it doesn’t really change anything. It just allows teachers to do the things we already do, but in an easier and more streamlined way” (Kirton, 2015, p.15). Even with active support for Web 2.0 tools in the classroom, critics continue to speculate that technology is taking over the profession of teaching. It is the responsibility of educators to integrate technology in purposeful and meaningful ways. “Educators need to strike the right balance between incorporating devices into lessons when necessary and keeping students focused on the task at hand” (Kirton, 2015, p.17). With existing criticism surrounding the use of technology in education, educators should consider the right balance and make conscious decisions about the integration of technology into their teaching. According to Killory “Technology is fantastic and embracing it is a good thing, but it shouldn’t necessarily be a juggernaut that dictates the learning process. Don’t discount seemingly ‘old school’ methods just because the latest technology is flashy and modern. Just as a teacher should ask students to develop a questioning attitude, it is paramount for teachers to question their choices, too” (Kirton, 2015, p.17). Technology, in particular Web 2.0 tools, can benefit the teaching and learning process if integrated in mindful and intentional ways. With thoughtful implementation, technology can serve as a valuable tool in the classroom, aiding in the teaching and learning process to allow learners opportunities to grow in ways not even imaginable to the school setting of the past. Sorry if this blog seemed like a research paper; it is an occupational hazard for us at times! Stop back for Part III to find out some practical Web 2.0 tools and ideas to implement in your classroom or workplace. Bart, M. (2011). Help students develop lifelong learning skills with Web 2.0 tools. Bart, M. (2011). Web 2.0 Tools in the Classroom: Embracing the benefits while understanding the risks. Burgess, D. (2012). Teach Like a Pirate. San Diego CA: Dave Burgess Consulting, Inc.
learning technology on college student engagement. Computers & Education (54)4, p.1222-1232. DeCosta, M., Bergquist, E., & Holbeck, R. (2014). Three ways to breathe new life into your online courses. Kirton, H. (2015, September). Is technology taking over teaching? IB World issue 72, p. 11-21. Oomen-Early, J. (2010). Ten ways to re-energize your classes and yourself. Faculty Focus: Higher Ed. What I found disheartening about teaching over the past several years was all the attempts to make each classroom uniform to the removal of the personality of the teacher/professor. With so much top-down micromanagement of teachers/ professors (Charting the Future comes to mind) then the real learning from the teacher/professor gets lost. We’re human. Let that human element rip. Technology cannot replace the love of learning.